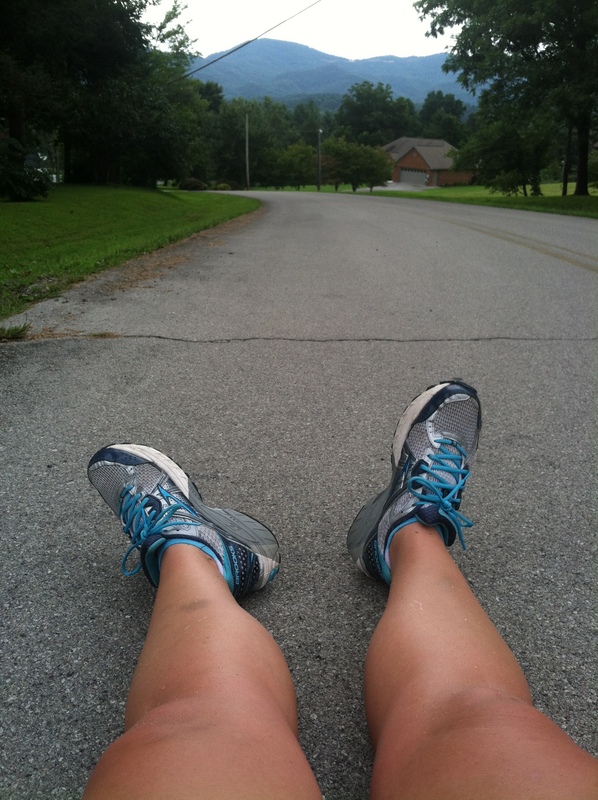 Since I’m getting back into the running groove, I’ve been trying to build my legs up and work on my cardio. As of right now, running 5 miles isn’t a possibility so I’ve been doing other workouts that work on leg strength and heart strength. There is this neighborhood in Townsend that is built on a massive hill. If I park at a friend’s house and walk down the hill and around to go back up a hill on the other side then I get in a massive (.4 mile) hill climb for a total of .7 miles. Not too shabby. Last week and this weekend I spent time on three separate days doing this loop for at least three miles. It is great because it really gets my legs going strong and my heart rate skyrockets. Actually after wearing my heart rate monitor the last time I did this workout, my heart goes about 20 bpm higher than it does during the toughest part of spin class. That is great if you ask me. The hills loop around so I also have the opportunity to run down the smaller hill which builds fantastic quad strength. Loving this workout even though I always feel like complete death afterwards. LITTLE Chesnut Hill. The pic makes it look easy. Hydration has also been really important to me here lately (as always). I wake up and immediately crave water and drink at least 120 ounces throughout the day. I love feeling hydrated and I can usually tell if I’m not getting enough based on the foods I crave. Usually two water bottles are in my car at all times and they are randomly all throughout my house. I especially love my Nuun hydration water bottles. 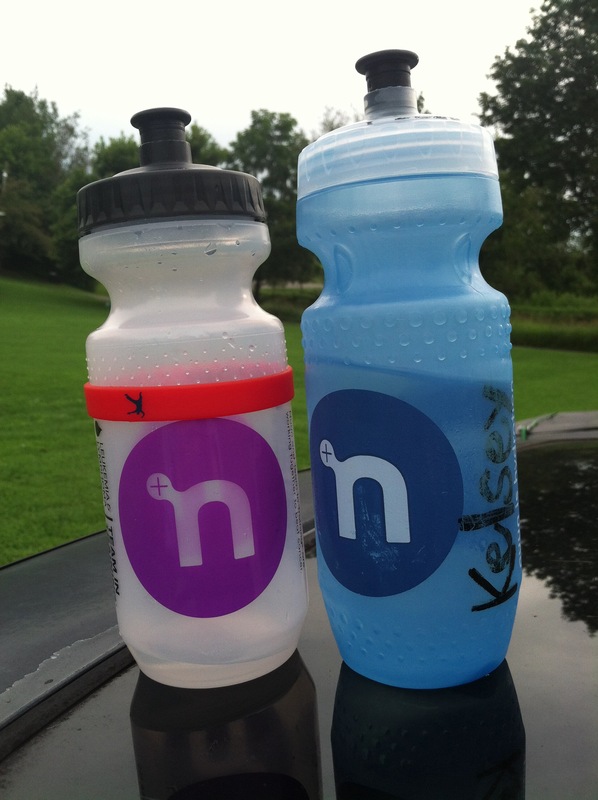 The blue water bottle in the photo is the bottle I used at Nuun Hood to Coast last year. Lately I’ve been loving getting lots of walks in with my Momma and friend Yvonne. I have also been getting some evening runs in with my friend Deanna who is completely rocking at running! She runs based on minutes elapsed instead of distance and I love running this way with her since I don’t focus on the miles. Ashley and I also did a track workout last week and we have one planned for later this week so I will do a post about that once we knock that one out of the park! If you didn’t read this post and you just skimmed through the pics and are now reading this then just know that I’ve been loving running and walking lately and exercise is fantastic! That’s all. 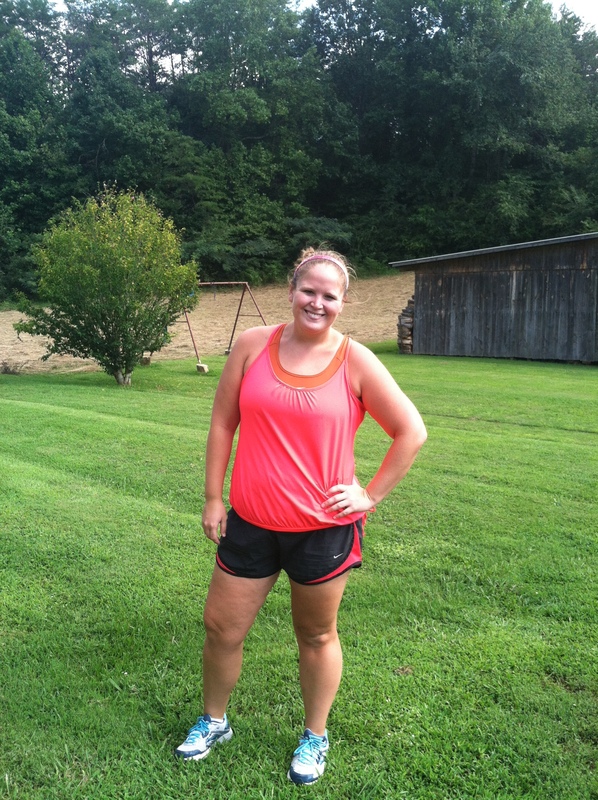 This entry was posted in Uncategorized and tagged enjoying exercise, losing weight, working out by thegogirlblog. Bookmark the permalink. You are looking amazing, girl! I’m so proud of you. As always, you continue to inspire me. You are strong, brave, determined and proof that hard work does, in fact, pay off. Keep up the great work!!!!!!!!!!! Woo!!! Awesome job on the hill running. When I started running hills I would tell myself that I just have to make it to the top and then I can take a walking break. I found that interval training on hills has improved my pace so much. 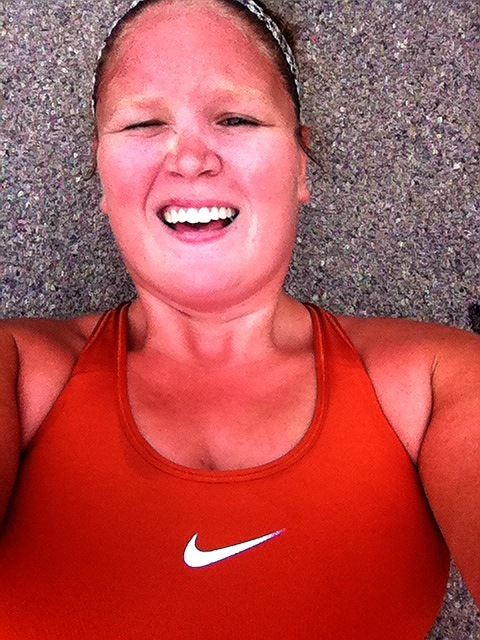 Hills are definitely a challenge but it totally pays off! Glad they have helped you. Ditto to everything that Beth said! You are one of my biggest inspirations!!!! I love it when I see “Go Girl” in my Bloglovin’ queue! That is so sweet, Paige! YOU are the awesome one! Don’t you hate how pictures make hills look tiny?! Isn’t it the worst?? Photos definitely don’t do them justice. I love how you seek out hills and try to find out how I can avoid them (except there is no escaping them in nashville) I also think its incredible that you’re Heartrate went higher than in spinning- thats incredible and know you’re working hard.